Bali is an extremely popular tourist destination, attracting visitors from all over the world. Many of these visitors don’t drive, which can make getting from one place to another difficult. It can even be hard to get too and from your Bali villas if you have booked them in a somewhat remote area. Luckily for you, there are plenty of public transport options in Bali which you can rely on to get you around. Public transport is cheap, effective, and it services most of the island. Even if you do drive in your home country, it is often a good idea to just use public transport and taxis when you are on holidays. Buses are definitely the most popular and cheapest mode of transport in Bali. They are used by tourists and locals alike, and can offer a good insight into real Balinese culture. You can choose between entrepreneurial tourist buses, operated by Balinese locals, and ‘bemos’, the public bus service. Bemos, or small minibuses, are definitely the cheapest way to get around in Bali. They go pretty much everywhere, and they run on set routes, much like bus services in the rest of the world. Although prices start from around 50 cents, drivers will often charge you more when they see that you are a tourist. Bemos are definitely the cheapest way to get around, and they can usually be relied on. However, they are also hot, dusty, and sometimes open to the elements. They can be crowded with locals and other tourists, and are usually downright uncomfortable for longer journeys. 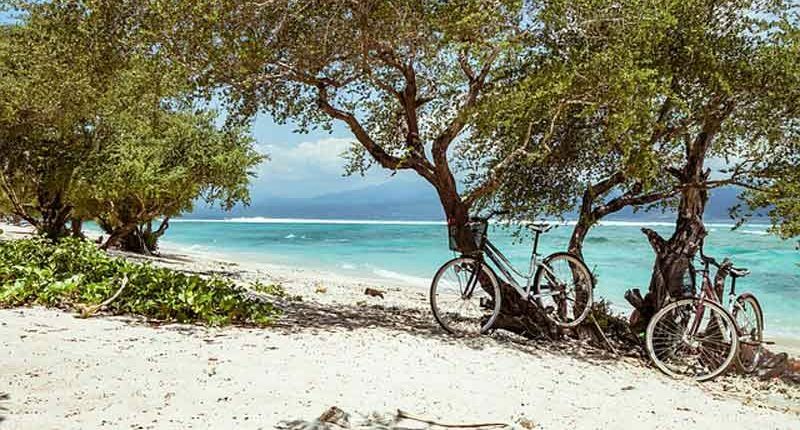 The transport industry in Bali is largely unregulated, which means that pretty much anyone can try and start up a little business. Although there are plenty of honest operators out there, be careful when choosing a shuttle bus service. They will generally be more expensive than Bemos, but they will be more comfortable and will – as long as you choose a good one – get you to your destination fast and effectively. Although not technically public transport, taxis are another great way to get around in parts of Bali. However, they can also be dishonest, charging higher rates to foreigners and taking longer routes than necessary. They are really only useful in South Bali and around Ubud, so consider other forms of transport if you are planning on visiting other areas. If you don’t want to take public transport and you want to visit parts of Bali not serviced by taxis, you pretty much have one option – rent a car. Luckily, you can actually rent vehicles with drivers, which means that even if you don’t drive, you will still be able to get around without too much trouble. Alternatively you could consider hiring a push bike to get around, especially if you are planning on spending time in one specific place. Whatever you do, make sure that it is safe. Don’t drive in Bali unless you are confident. Good luck and happy holidays!